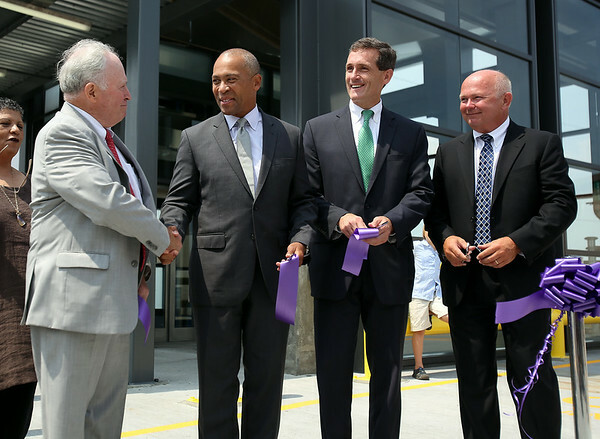 Former Beverly Mayor Bill Scanlon, left, shakes hands with Governor Deval Patrick, as current Beverly Mayor Mike Cahill, and MBTA Project Manager George Doherty, look on. DAVID LE/Staff photo. 8/1/14.